One of the great things I love about Japan are the restaurants that specialise in cooking one thing. There is a superb place, barely a hole in the wall, in the Kappabashi district that cooks just yaki soba. It looks like a mother and son venture, with the noodles stir fried on a hot plate in the window overlooking the street by the son which are then ferried to the tables by the mother along with cups of hot tea. I have no idea what the name of this joint is since there's no English signage, but it's right by the Tawaramachi Station on the Ginza line and is a terrific pit stop after shopping in the wholesale cookware district. Just follow your nose and you'll find it. Oh, and a large plate costs about 3 pounds. But I'm not here to talk of yaki soba but udon. I love a big bowl of udon and in Tokyo I got my fix at Muginbou. It's definitely not on the tourist trail, but it's certainly worth the effort to find it. They say you eat with your eyes. 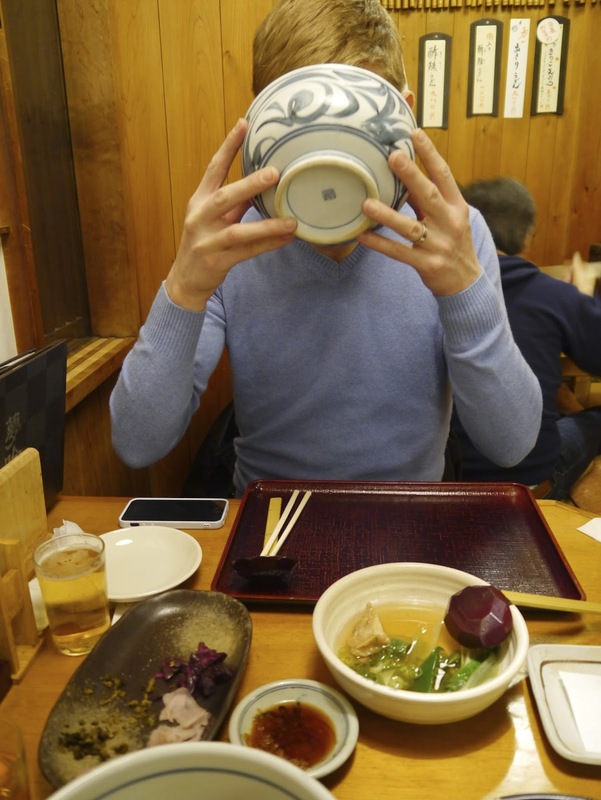 Well when dining at Tofuya Ukai in Tokyo, you'll be starving by the time you get to your table. 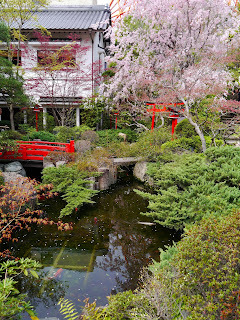 With the restaurant set in an old multi-roomed manor on the grounds of a beautifully kept Japanese garden, Ukai has to be just about the prettiest place I've eaten. 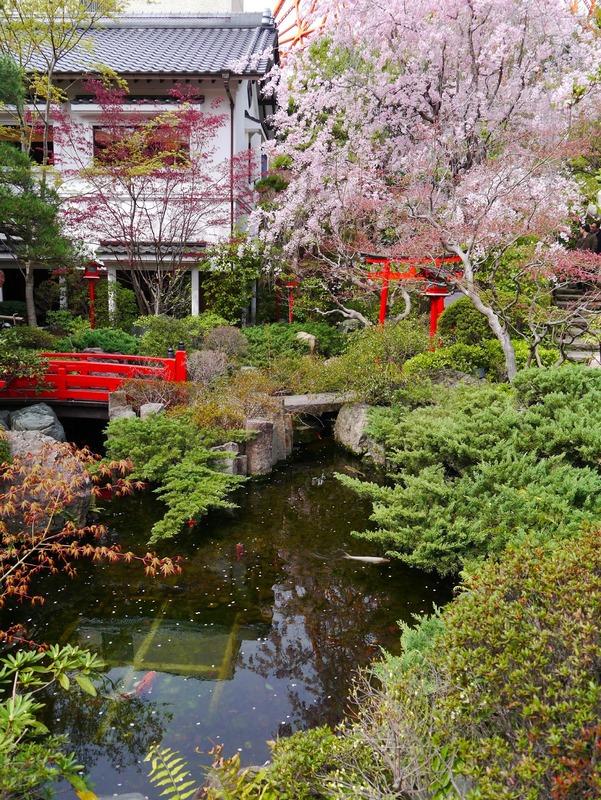 It's hard to believe that this oasis exists in the middle of Tokyo in the shadow of the Eiffel-like Tokyo Tower. The lunch we had here was an exploration of different preparations of tofu, in addition to other ingredients, but the service was so rapid we barely had time to digest the last mouthful of one course before another was served. Still, I'm reliably informed that there are no such issues at dinner, so Tofuya Ukai is perhaps one to try on a sultry evening to enjoy the food with enough time to take in the stunning gardens as well. Hand on my heart, the meal I had at Nihonryori Ryugin was the best I've eaten. I know that's a bold claim, but from the first goose bump inducing bite of the 16 vegetable salad to the last sip of oolong tea, I felt as if I had been gently led on a journey of discovery. New ingredients, interesting combinations and unfamiliar cooking techniques coupled with engaging service made it an experience I won't forget.